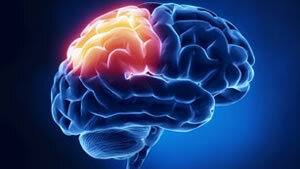 At present, stroke is one of the most important socio-health problems in the Western world. This is due to its high incidence (120,000 cases each year in Spain), its high mortality (10-15% in the first year) and the sequelae it produces. Thus strokes are the main cause of disability in adults, the leading cause of death in Spanish women and the second cause globally. They produce an important demand for care that must be supplied by the patient’s family or by public or private institutions, which entails an important economic investment in addition to a poorer quality of life for the patient and family. In these difficult times of economic crisis we must make a great effort to prevent and treat this terrible disease given that although there have been important advances in its prevention, the World Health Organization predicts a 27% increase in its incidence between the years 2000 and 2025, so that in that year there will be more 1.2 million Spanish survivors of a stroke, of which more than 500,000 will be disabled. The problem of stroke is not new. 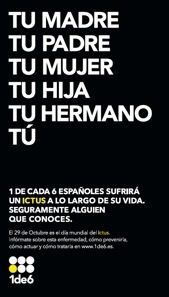 Since 1980, it is the leading cause of death among Spanish women. However, because there were no effective preventive and therapeutic measures at the time, it had not been given the importance it has today. Fortunately, things have changed radically with the appearance of new advances in their prevention and treatment. At present, there are treatments that applied in the first hours of evolution of a stroke can reduce its sequelae and even come to cure it. In addition, we have clearly effective measures to prevent it. In those who have suffered and left them sequelae, subsequent rehabilitation is key in improving the social, family and work reintegration of the patient with stroke. All this makes essential to make known to the general population what to do to prevent a stroke, how to recognize its symptoms and how to act when it appears. Acute cerebrovascular disease or stroke includes all those diseases that affect the brain and are caused by a disorder of the cerebral circulation. According to the nature of the brain lesion we can distinguish two major types of stroke (see Figure 1.1): ischemic stroke or cerebral infarction that is caused by an obstruction of an artery that irrigates a part of our brain and the hemorrhagic stroke or cerebral hemorrhage produced when an artery in our brain ruptures, which causes blood to flow out of the vessel and localize to the inside of the brain, damaging it. The socio-sanitary impact of this disease is brutal. It has been estimated that every 5 seconds a person suffers a stroke worldwide. The prevalence or number of people who have suffered a stroke in Spain is estimated to be approximately 7% of the urban population over 65 years of age, while its incidence (number of people suffering from it in a year) is 128 per 100,000 inhabitants every year among the general population. In Spain, a stroke death occurs every 15 minutes. Despite the slight decrease observed in recent years (around 2%) and Spain is among the countries that have a lower mortality rate for both men and women compared to the countries of Northern Europe such as the Netherlands, Switzerland, Ireland, Iceland and the Nordic countries, stroke continues to be the second leading cause of death in the Spanish population and the leading cause of death in women. In Spain every year between 120,000 and 130,000 people have a stroke, of which about 80,000 die or remain disabled. It is estimated that at present there are about 950,000 living people who have suffered stroke, of which 400,000 have some type of disability. Being such a frequent disease, it is not surprising that numerous cases of public characters who have suffered a stroke are known. The Study Group of Cerebrovascular Diseases of the Spanish Society of Neurology established the Social Ictus Awards as a way to try to spread this disease with the recognition of some famous people who would have collaborated in the fight against the disease or had overcome it. Among these characters we have Alberto Contador, María Escario, Juan José Laborda, Alfredo Landa and Tony Leblanc. Alberto Contador suffered a hemorrhagic stroke when he disputed the Vuelta a Asturias at the beginning of his successful sports career. Strokes occur most frequently in people over 65 years of age. However, they can occur at any age. Thus in recent years, we have detected a significant increase in the number of strokes occurring in patients under 55 years of age. According to the IBERICTUS study carried out in Spain in 2006, approximately 10% of strokes occur in young people (under 55 years of age). This increase in stroke in young people is occurring due to poor control of vascular risk factors associated with poor living habits (in the next chapter we will see what they are). The lack of knowledge about the personal, family, social and occupational catastrophe that causes stroke, causes the Stroke Units to attend more and more patients under 55 years of age. The consequence of a stroke in a young person of working age is much greater than in an elderly person. When we say older we mean that any minimal sequela that the patient presents (difficulty speaking, reading, writing, computer, walking or making fine movements with one hand) will condition his future life, but also that of his family. And in the end if the patient can not return to work the social costs will end up impacting on society given the large number of years of life that will lie ahead not being productive. Cerebrovascular diseases represent a strong economic and social burden. According to data from a very recent study on the costs of stroke in Spain (CONOCES), the average total cost of hospitalization for a person with stroke in Spain is about € 9,000. To this must be added the indirect costs due to the loss of productivity due to disability or premature death and other direct non-health or social costs. These include the adaptations that many people who have suffered a stroke and the care of non-professionals (family or friends) have to carry out in their home, who have to spend many hours to help them in their basic activities of daily living. All this means that the total cost of stroke is estimated at about € 6 billion per year, which represents 5% of Spanish public health expenditure. Stroke outreach campaign on the occasion of the World Stroke Day 2012. Strokes can occur at any age and can be caused by multiple causes. These causes are usually different according to the age of the patient in which the stroke occurs. However, they are more common in older people; thus, one in four men and one in five women will have a stroke if they live to 85 years. In cases of patients older than 55 years, the most frequent causes of stroke are a series of diseases and life habits called risk factors that clearly increase the risk of having a stroke. These risk factors are classified into 2 large groups (modifiable and non-modifiable) depending on whether any medical intervention or modification of lifestyle can serve to rectify them, and therefore reduce this risk (see Table 3.1). On the other hand, in patients less than 55 years old (at least 1 in 5 stroke), stroke is very often related to congenital arterial malformations, hereditary diseases or rare diseases such as carotid dissection. However, as mentioned above, in this age group it is increasingly common to find stroke in patients who either did not know about these predisposing factors or did not control them. It is necessary to make the population under 55 years aware of the importance of the stroke. We know that when a healthy person reaches age 40 without any of the risk factors mentioned above the odds of having a stroke before age 80 are only 4%, while they increase up to 50% in case of having two or more of these factors. This lack of awareness among young people also makes them unaware of the symptoms of a stroke and go to hospitals late. Unlike acute myocardial infarction, where pain is a fundamental alarm symptom known to the vast majority of the population, the stroke only produces headache in 20% of times. The absence of pain, very linked to the sensation of gravity, often causes patients with very alarming symptoms, such as not being able to move a hand, do not recognize them as a manifestation of a stroke and do not demand urgent medical attention wasting time which can be key to patient recovery. Although the clinical manifestations of stroke usually appear abruptly or acutely, the brain lesion takes longer (3-8 hours) to be definitively established. It is therefore very important to inform the public that if you recognize some of the symptoms of stroke alarm in yourself or in a family member, call the emergency medical numbers (112 or 061), trying to explain the symptoms that have appeared In order to activate the care chain called Code Ictus, active in all Autonomous Communities. Loss of strength in the middle of the body (face, arm and / or leg). Sensation of numbness or loss of sensation in the middle of the body (face, arm and / or leg). Sudden loss of vision, partial or total, in one or both eyes. Typical symptoms of a stroke. The treatment of stroke has changed radically in the last 10 years. Today stroke is a treatable disease, if we consider that it is a time dependent neurological emergency, since this disease is a dynamic process. Although the clinical manifestations appear abruptly, after the stroke occurs, the brain injury may take longer to develop. This time between the onset of symptoms until the brain injury becomes irreversible is what we call therapeutic window, that is to say, it is the period of time in which we can save that zone of the brain that is at risk. There are several aspects that are fundamental and that determine in a very important way the prognosis of the person who has suffered a stroke. Early care by a neurologist and in a Stroke Unit improves the outcome of these individuals by halving the likelihood of dying or suffering from a disability. The specialist neurologist is trained to make a quick and accurate diagnosis of the type of stroke that has suffered a person. This is essential to be able to indicate the most appropriate treatment and in the time in which it can be more effective. It is important to remember that for every hour that passes since the person suffers a stroke, it would be equivalent to a four-year brain aging. The Ictus Units are specific units located in the Neurology Services that have between 4 and 6 beds and where they will be attended in a very specialized way to the patients with stroke of less than 24 hours of evolution. There can be no delay in patient care, as we have already commented that “time is brain”. It is recommended that almost all patients with stroke enter an Ictus Unit. The neurologist coordinates the attention in the Ictus Unit, but must count on many other specialists who collaborate in the diagnosis and treatment of the patient. Thus, cardiologists, neurosurgeons, vascular surgeons, neuroradiologists, neurorehabilitators, physiotherapists, anesthesiologists and intensivists are needed who collaborate in specific aspects in each patient. Many studies have shown that patient admission to an Ictus Unit reduces mortality by 17% and combined mortality or dependence by 25%. This benefit is maintained 5 years after having suffered the stroke. They avoid one death or dependency for every 14 treated patients. In addition, recent data from our country show that, in addition to improving the quality of care (reduction of mortality, reduction of sequelae and the need for institutionalization in 1/3), attention in the Stroke Unit is an economically efficient measure, since it saves 1,914 € on the hospital cost of the acute phase per patient. Recanalization therapies are treatments aimed to dissolving or extracting the thrombus or plunger that has obstructed the artery of the brain and deprived of blood to a part of it, allowing to restore a normal circulation. Our body has physiological mechanisms to dissolve these thrombi. However, in most cases it does so late (beyond 6 hours), when the brain injury is already irreversible. Therefore, what these therapies are looking for is to remove the thrombus within those hours in which the brain injury can still be avoided or at least reduce it as much as possible. The greater the injury, the greater the sequelae the patient will have. The time available to be able to unclog the arteries is variable, depending on the technique used, but we do know that the earlier we do, the greater the chances of success. We have to note that the treatments that we will discuss below are effective and improve the prognosis of patients, but all have risks and are not always effective. At present there are two types of recanalization techniques: intravenous thrombolysis and endovascular treatments. Intravenous thrombolysis: involves the application of a drug through the vein of the patient with the aim of dissolving the thrombus housed in the brain. The goal of this treatment is for patients to be independent at 3 months. 55% of patients will be independent after applying this technique, compared to only 28% when it is not applied. As we have already indicated, the treatment of thrombolysis requires very specific neurological conditions and can only be done within the first 4-5 hours from the onset of symptoms. Endovascular treatment: involves trying to remove or dissolve the cerebral thrombus by using catheters (a type of very flexible and long tubes) introduced by the femoral artery (in the groin) that are directed to the center of the brain where the thrombus is located. These catheters have special devices that in different ways will remove the thrombus and allow the blood to pass to the affected brain.